It has become clear that smartwatches are poised to become the next personal computing hub. The road to ubiquity isn’t without barriers, but smartwatches have what it will take to win. We also look at how how the overall wearables market will perform in the long run. We forecast out shipments numbers, explain why the smartwatch will be the leading wearable device category going forward, and analyse proprietary results from our BI Intelligence consumer survey on smartwatch purchase intent. Wearables overall will see plenty of growth. We estimate the global wearables market will grow at a compound annual rate of 35% over the next five years, reaching 148 million units shipped annually in 2019, up from 33 million units shipped this year. The smartwatch will be the leading product category and take an increasingly large share of wearable shipments. We estimate smartwatch shipments will rise by a compound annual rate of 41% over the next five years. 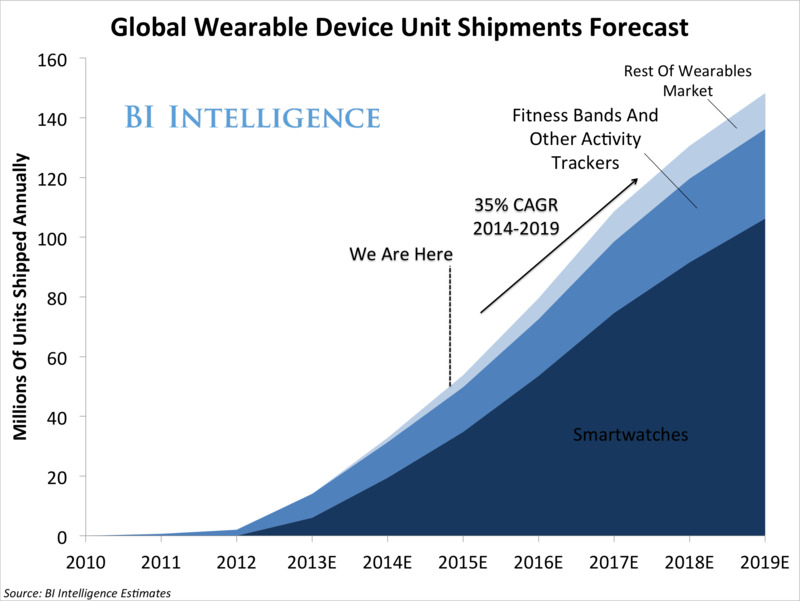 Smartwatches will account for 59% of total wearable device shipments this year, and that share will expand to just over 70% of shipments by 2019. Barriers still persist, and these will inhibit consumer wearables adoption and usage. Smartwatches in particular must become standalone computing devices with more robust functionality for the devices to become mainstream. Other barriers include small screen size, clunky style, limited battery life, and lack of a “killer app” that can drive adoption. The report is full of charts and data that can be downloaded and put to use. 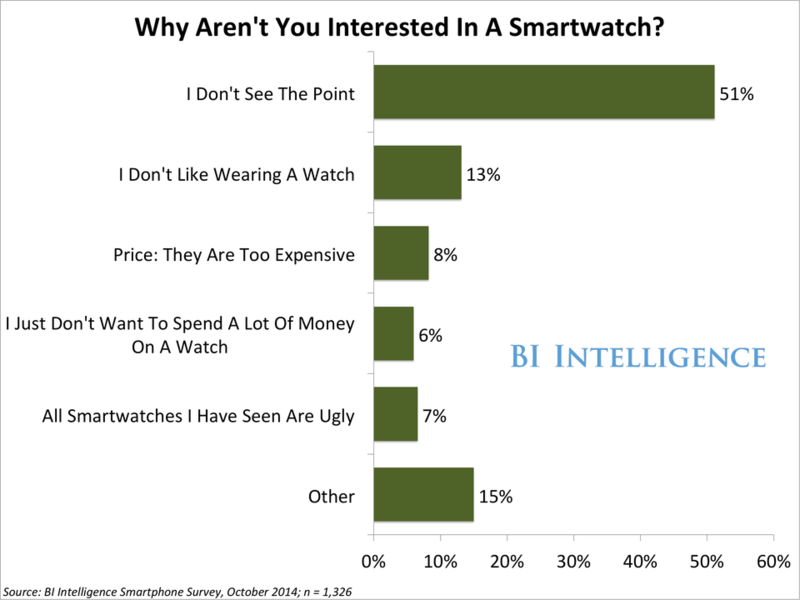 Reveals and analyses BI Intelligence smartwatch consumer survey results. For full access to all BI Intelligence’s charts, data, and analysis on the mobile and Internet of Things industry, sign up for a two-week trial.